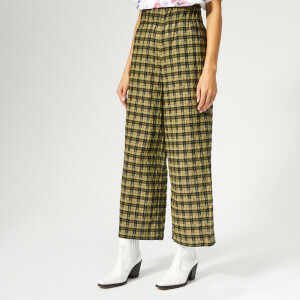 Women’s ‘Beacon’ trousers from Ganni. Cut from a weightless cotton and silk blend, the semi-sheer pants comprise an elasticated waist, drawstring tie and a tapered leg. An all-over black and orange floral print completes the design.